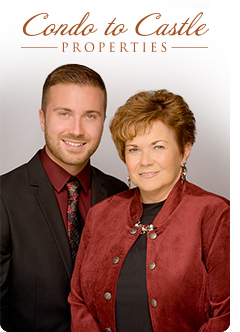 Condo to Castle Properties was founded in South County by Deonna Essary, Derek’s grandmother. She created it to provide the level of service that a client deserves by the agent who formed the relationship - not an assistant, not a transaction coordinator. Contract with Condo to Castle Properties and you can be sure you will be working with Derek throughout the entire process. Condo to Castle Properties offers buyers and sellers renowned real estate services in South County and the surrounding areas. We’ve teamed up with local lenders and title companies to give you a seamless experience. You and your home deserve to be represented by the best in local real estate. Should you choose Derek, you both will be.